Navigation: Home / News / Columnists / AFCON 2019 Qualifier: Vigilance Must Be The Watch Word! 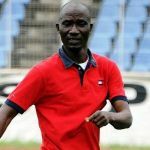 AFCON 2019 Qualifier: Vigilance Must Be The Watch Word! I have decided thenceforth not to reply those hired thugs that shamefully parade themselves as sports journalists while doing the job of hatchet men. I’m not a hidden Sports Journalist and I have also paid my dues in the profession and on the beat too. I don’t want to also know their bargain with their pay-masters to bring Victor Enyinnaya down by all means. And where did I go wrong than to stand by the truth which is one of the tenets of this profession? Let me say here without any hesitation that millions of them cannot bring me down, their capacity and potency notwithstanding. I couldn’t care less about them and their pay masters. I’m poles ahead of them. Let me sound it clearly also, that I am a seasoned Journalist who has covered international sporting meets brilliantly. I’m also an old Daily Times trained reporter that never gives no as an answer. I passed through thorough breed journalists as line editors and also title editors, therefore, I know where I am coming from aside academic qualifications. 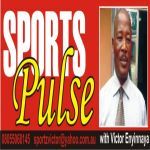 As it is here in Daily Sports, my Editor-in-Chief, Mr. Isaac Umunna, is just like those my then wonderful editors of the old Daily Times fame; thorough, professional and patient. He is no-nonsense professional too; little wonder, therefore, the upbeat status of Daily Sports since inception. Aside from his patience, unassuming and savvy mien in the profession, he has proved his previous award-winning stuff to the letter and I must confess that I’m the better for it. I have learned much more since I started working under his tutelage here so let nobody trouble me. I have learned never to be food is ready reporter or if you like what the stomach will eat journalist. There is no how I will be like them. In this profession and on the beat, I’m well grounded, to say the least. How many of them can write travelogue as it was a must in the then old Daily Times after covering major championship either locally or internationally? We don’t do hatchets man’s job in Daily Sports. We report as it is and do analyses accurately to the best of our ability. Such house style has brought us influence and credibility; we are much sought after as we display accuracy, authenticity and sundry. We remain committed to this principle. Readers, kindly permit me to anchor and go straight to this week’s topic. 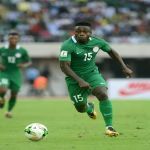 Nigeria will play Libya in 2019 AFCON qualifier presumably coming up in Cameroun. The squad for the task is put together by the technical adviser of the national team, Gernot Rohr. 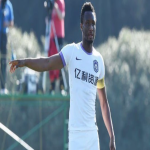 The 23-man list has some new boys with the official captain of the side, John Mikel Obi missing. It will be a game Super Eagles must win first in Akwa Ibom State International stadium come October 13 and then go all out to do well in the second leg wherever it will be played. I want to say that there is no minnow in today’s football as every team has the capacity to create upset when it comes to playing especially the big boys or more football playing countries. One believes that Rohr and his lads are aware of that and must also sound it clearly into the ears of his players. Libya is desperate. I think since the country hosted the summit in 1982, it has not qualified for the most prestigious championship in the continent. That formed the reason why Eagles and Rohr must take Libya as if it is a game against Cameroun or Algeria, etc. It won’t be a walk over stuff no matter the angle you may be looking at it from. The venue of Akwa Ibom State is a perfect one as the international stadium has served more like Super Eagles home and so the team would get the kind of needed support it deserves. Eagles must also not lose the sight that it was at that same venue it lost to the Bafana Bafana team. That scenario must serve as the needed wake up call for the homers to brace up from the blast of the referees whistle signaling the kick-off to the last blast. Libya must fall badly, no more, no less. To do that is ensuring that over confidence would not set in. The game against the North Africans may look a walk over on paper but in practical terms and the antecedents o the game, Super Eagles must endeavour to start off on a grand note at the blast of the referees whistle in other not to give their day’s opponents the leverage to attempt any rubbish. It will be a good game as there will be much to watch. It is instructive to note that Libya has not defeated Nigeria in previous meets and this one home and away won’t be an exception. First thing first and the task of beating Libya is a task that must thoroughly accomplished having lost our first match against South Africa; a deficit that would haunt us as the group stage continues. It is against the above inflammable background therefore that all the remaining games are a must win including the one against South Africa in the second leg. However, I believe when we reach the bridge we will cross it. The match against Libya may not be crunchy but let’s discuss it further on our social media as usual on Twitter, Facebook, LinkedIn, and WhatsApp. To refresh the memories of our dear readers that missed the invited players’ list for the Libyan game, we publish it below! Eep!!! Staying with Daily Sports as a way of life in sports reporting and readers’ followership has proved to be a trending viable online portal. Keep shooting hard till next! !